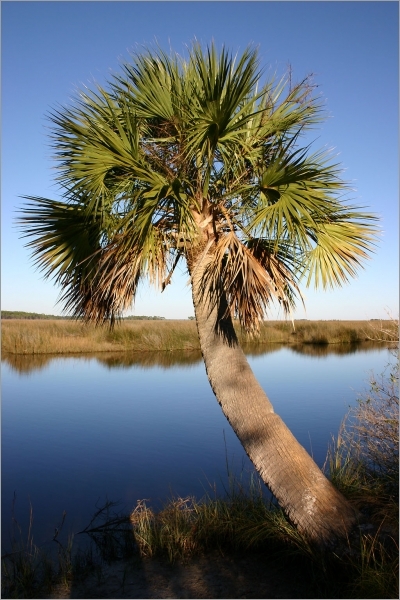 The Palmetto is the typical palm of the southwestern United States. From the avenues of grand old Charleston down to the shopping malls of Miami, this handsome tree is seen on every corner. Although it may not be as elegant as a Coconut or Royal palm, for temperate and subtropical areas with warm summers it really is the ultimate choice. Extremely resistant to heat, wind, cold, drought and neglect, it always keeps up a good shape.